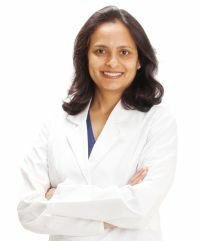 Welcome to Dental Wellness, office of Westlake Village Dentist, Dr. Rupal Javia. We are glad you have chosen us for your oral health needs and hope that every visit with our office and staff exceeds your expectations. We proudly provide quality dental care to the community of Westlake Village and surrounding areas. Our services include but not limited to general dentistry, cosmetic dentistry, teeth whitening, dental implants and much more. We strive to provide a comprehensive experience for our patients, offering everything from general dentistry to oral surgery. Dr. Javia works hard to extend the finest in dental care and treatment options. Her conservative approach to dentistry ensures that you will always play a role in determining your course of treatment. Dr. Javia received Doctorate of Dental Surgery degree from prestigious Loma Linda, CA University. She graduated top in the class and received clinical excellence award. She has been working in the dental field in and around since year 2000. Dr. Javia is a member of the California Dental Association (CDA), American Dental Association (ADA), and the Santa Barbara-Ventura Dental Society. Monthly Payment. Includes free consultation.